I call it the Hunger Games effect. The fact is, those wondrous examples of fashion in the post-apocalyptic world – the shredded distressed jumpers, the matt leather worn-in looking leggings, the hooded draped tunics and cowl necked dresses, the drapey woollen winter coats, the rubberised fabric, the armour-looking accessories – that featured in films we love and were only available at exorbitant prices from couture designers, are now available to us. 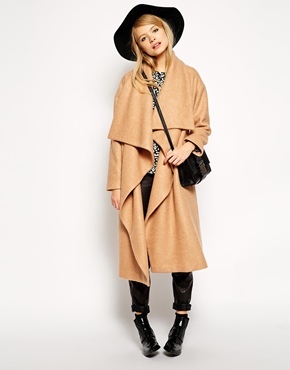 In a trickle-down effect, what was once a niche fashion subtrend has now hit the mainstream – and how! So last year we had the Trish Summerville “Capitol Couture” collection, where the entire line of clothing and accessories was inspired by the Hunger Games sequel, Catching Fire. 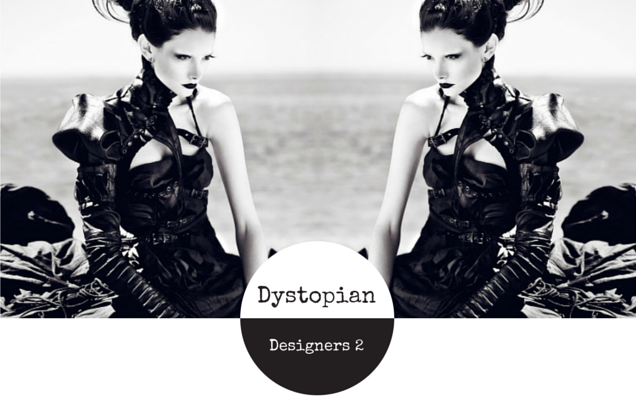 Inspiring the film certainly was, with fashion from the likes of Alexander McQueen, Rick Owens, Korean menswear designer Juun J, and Indonesian avante garde designer Tex Saverio. 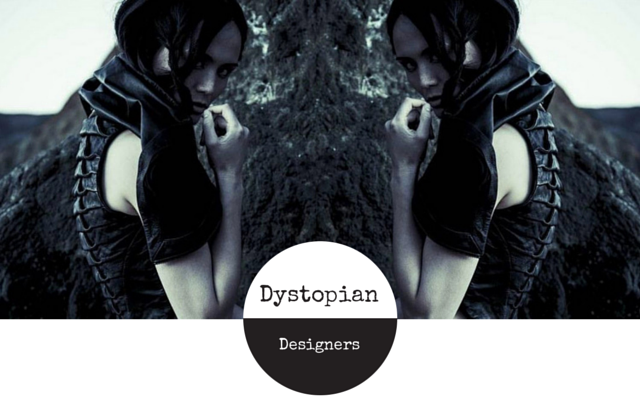 The year before, commencing with the first Hunger games movie, the online fashion magazine Capitol Couture was established (set within the fictional world of Panem), with articles by real-life fashion journalists, designers and celebrities. Now, we’re beginning to see high street and chain store brands produce clothing at more reasonable prices, so we can build up our post-apocalyptic looking wardrobes. Examples? 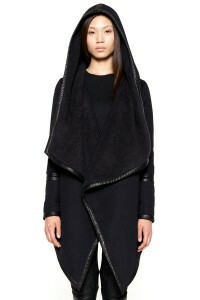 If a structured futurist look is more your thing, how about this fantastic ribbed jacket from Novice (from $49.95 on ebay), or the accompanying faux leather dress (from $79.95)? 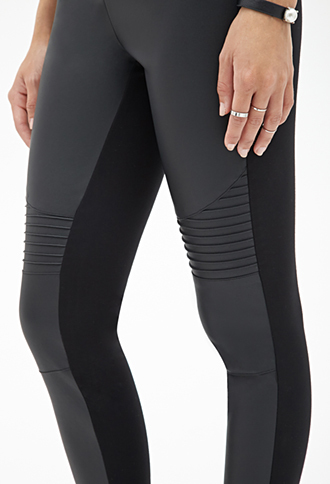 now you can get cool looking ribbed moto faux-leather leggings from the likes of Forever 21 $28, or coated jersey moto leggings from etsy designer iheartnorwegianwood at $88. 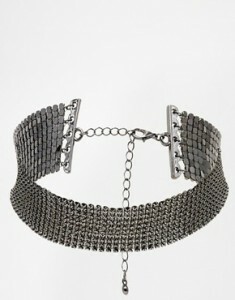 There has been a resurgence in chainmail looks too – possibly a Game of Thrones influence? 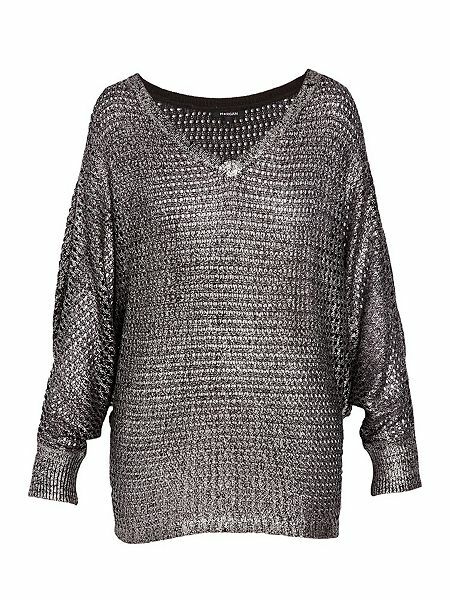 So we have loose weave metallic jumpers & tunics looking like chainmail, and also rubberised tops giving a similar illusion. 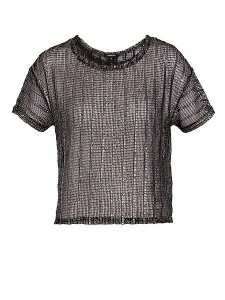 And while you COULD get a rad chainmail top from Paco Rabanne – if you had $2800!!! or a Matthew Williamson chainmail dress for 5,450GBP!! 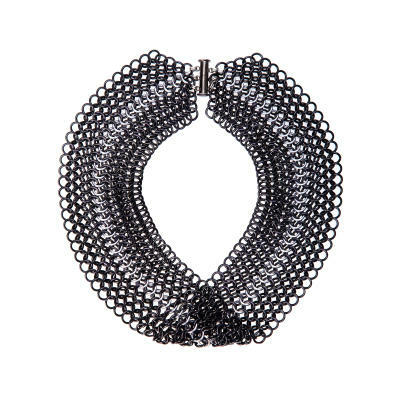 Or you could just let a statement chainmail collar do the talking, like this Mobius Collar from TheKang $220, or the eminently affordable ASOS Chainmail Choker at $25. Zara has a range of cool ribbed & quilted biker boots, like the ones below. 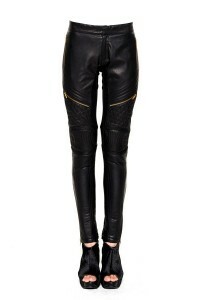 Miz Mooz has this fantastic Galaxy Platform Boot, $175 from Infinity Shoes or at the NYC store, while Boohoo.com has this super Chelsea Quilted Patent Biker Boot for only $56. Of these items, when I was in New York I decided to grab the Tripp distressed jumper, the BB Dakota Henrietta jacket, the Novice ribbed jacket, the Gelareh and Skingraft leggings, the Max Studio lace shell top and the Miz Mooz boots for myself…what would you buy? 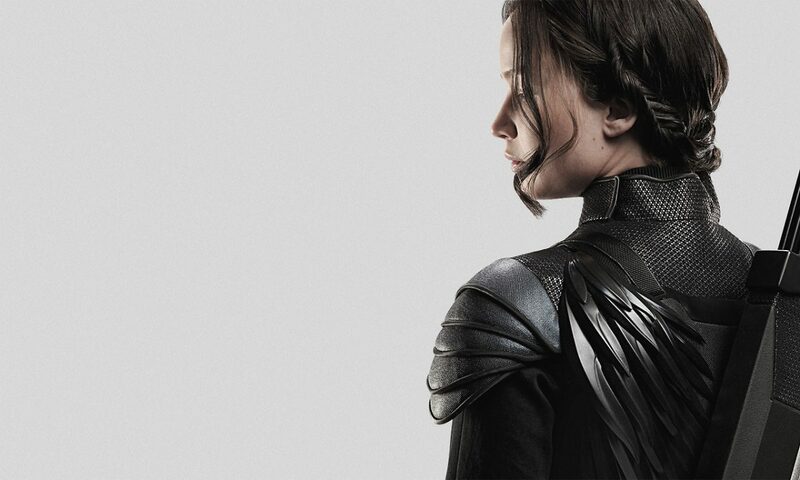 With Mockingjay opening tomorrow, I’m sure a whole new range of feathered and armour-like creations will be hitting the stores soon…maybe even with cool articulated shoulders like this? One can only hope! I've been many things:- fashion editor, blogger, writer, performer...but always a traveller. And I'm all for being over 50 and fabulous!